Aviation Updates Philippines - Bad news for budget travelers. 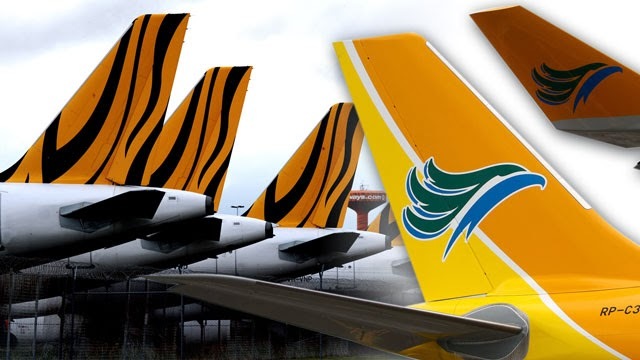 Budget airline Cebu Pacific and its newly acquired unit Tigerair Philippines are set to hike airline ticket prices by as much as 160%. The airlines are seeking to raise ticket prices due to the surge in the price of aviation fuel in the world market and the weakening of the Philippine peso against the US dollar. Cebu Pacific vice president for corporate affairs Jorenz Tanada said the airline has filed a petition to raise airfares before the Civil Aeronautics Board last January 21. "Cebu Pacific requested for an upward adjustment of fuel surcharges due to increasing fuel uplift costs, these are expenses related to transferring fuel, on top of the prevailing jet fuel price. These expenses have also been compounded by the weakening peso," Tanada said. The International Air Transportation Association's latest Jet Fuel Price Monitor showed the price of jet fuel averaged $124.6 per barrel, which is already above the full year target of $124 per barrel. In recent weeks, the Philippine peso had weakened to above P45 to $1. On Wednesday, the Philippine peso closed at P44.830 to the dollar. Cebu Pacific is seeking to impose higher fuel surcharge between 10-160% on 22 international routes from Manila, Cebu, Iloilo and Clark hubs. The CAB allows airlines to impose fuel surcharge on international and domestic passengers, as a way of providing temporary relief from losses due to the increase in jet fuel prices in the world market.